Lovely scan, and that artbook looks so fantastic (magnificent artwork). I adore this artbook! It's hardcover and so so pretty. I like this image. What's the artist's name? Quote by AgataMareI like this image. What's the artist's name? 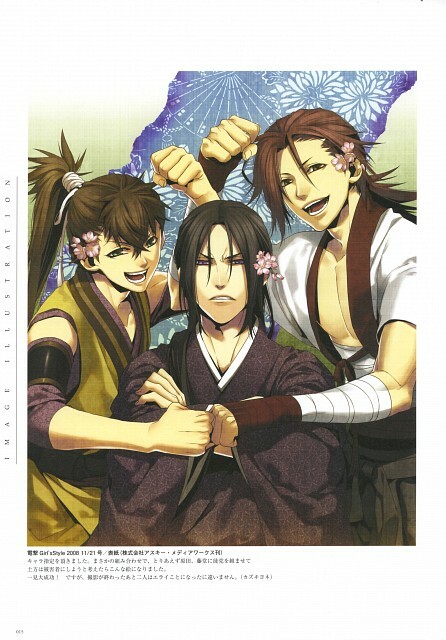 Lol at the flowers and at Hijikata's face. Hahahaha, it's too fun. Thanks for sharing!